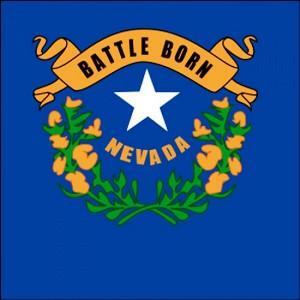 On Monday, Nevada became the latest state to see a marijuana legalization bill filed this year. Assemblyman Joe Hogan (D-Las Vegas) introduced Assembly Bill 402, which would allow people 21 and over to possess up to one ounce of marijuana and would set up a system of state regulation and taxation of marijuana commerce. Nevada now joins Maine, Maryland, Massachusetts, New Hampshire, Pennsylvania, Rhode Island, and Oregon as states where legalization bills have been or will be filed. A legalization bill died earlier this year in Hawaii, and one died last week in New Hampshire, but another New Hampshire legalization bill is still alive. The Nevada bill expressly does not allow driving while impaired, does not require employers to accept marijuana use, and limits legalization to those 21 and over. Marijuana has already been legalized by voters in Colorado and Washington, and the Alaska courts have recognized a privacy right allowing for the possession of small amounts of marijuana in one's home. Marijuana remains illegal under federal law. Hogan told the Las Vegas Review-Journal he introduced the bill because of what he called the persecution of young people. "I think it's better than chasing young kids around the neighborhoods, endlessly, and damaging them," he said. "We've been wasting terrible amounts of money on these completely unsuccessful law enforcement techniques. I think it's time to get serious, get it fixed and move on." Hogan said that marijuana legalization would raise badly needed money for the state's education system. It envisions excise taxes on both wholesale and retail sales of marijuana and marijuana products. "There's enough tax money in this line of products to properly and fully support education in the state of Nevada, which we have failed to do for a number of years," Hogan said. The bill is the brainchild of Dr. Steven Frye, a retired Las Vegas psychiatrist and marijuana legalization activist. Frye told the Review-Journal legalization could generate as much as $500 million a year in tax revenues. "It's a big tourist issue," he said. "And we create green jobs in Nevada growing, processing and selling it." 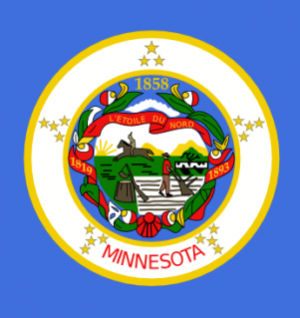 Bills to allow for the use of medical marijuana in Minnesota have popular support and may still be introduced this year, but will be little more than place markers for 2014, supporters said this week, citing opposition from the governor's office and law enforcement. Heather Azzi of Minnesotans for Compassionate Care said the effort got off to a late start this year, and that the rest of the year would be devoted to trying to shore up support. "We just had a lot of background work to do before we got started," she told the Minneapolis Star-Tribune. And there is a lot of work to be done assuaging the concerns on opponents. "There has to be a way for us to mitigate their concerns," she said. "We will be meeting with them between now and January to do just that." Medical marijuana made it through the legislature in 2009, only to be vetoed by then-Gov. Tim Pawlenty (R). The current governor, Democrat Mark Dayton, isn't any friendlier on the issue. He told the Associated Press in December that he wasn't interested in advancing either medical marijuana or decriminalization. "I don't think we need another drug operating in our society," he said then. Minnesota law enforcement remains intransigent as well. Dennis Flaherty, executive director of the Minnesota Police and Peace Officers Association, told the Star-Tribune any bill like the 2009 bill would not be going anywhere. "It would be a regulatory and enforcement nightmare," Flaherty said. The state's political movers-and-shakers are apparently more attuned to the complaints of law enforcement than the desires of the electorate. A Public Policy Polling survey earlier this month had support for medical marijuana at 65%, with 66% saying the governor should not veto such a bill if it passes and 54% saying they would disapprove of sheriffs and prosecutors opposing it. As the nation awaits the Obama administration's response to marijuana legalization votes in Colorado and Washington, Tuesday saw a two-pronged attack on the whole notion. On the one hand, former drug czars and Drug Enforcement Administration (DEA) heads lined up to urge the administration to act now to strangle legalization in its crib, while on the other, the International Narcotics Control Board (INCB) warned that allowing states to legalize would violate international drug control treaties. Legalization supporters rejected the attacks, comparing the ex-DEA chiefs to Prohibition agents seeking to justify their efforts and dismissing the global anti-drug bureaucrats as largely irrelevant. In a joint letter under the auspices of the anti-drug reform group Save Our Society From Drugs, eight former heads of the DEA and four former heads of the Office of National Drug Control Policy urged the federal government to act now to nullify the votes in Colorado and Washington. The same group similarly called on Attorney General Holder to speak out against those state initiatives last September, but he failed to do so. Holder, who said last week his decision will be "coming soon," was scheduled to appear before the Senate Judiciary Committee Wednesday. The retired drug fighters urged senators to press him on the issue. Holder's actual appearance, though, was anticlimactic. He told the committee only that he hoped, again, to be able to announce a policy "relatively soon." That prompted committee chair Sen. Patrick Leahy (D-VT) to hand out some advice of his own. "If you're going to be -- because of budget cuts -- prioritizing matters, I would suggest there are more serious things than minor possession of marijuana, but it's a personal view," Leahy told Holder, adding that more states were sure to follow in Colorado's and Montana's footsteps. That's not what the drug warriors were telling Holder. "We, the undersigned, strongly support the continued enforcement of federal law prohibiting the cultivation, distribution, sale, possession, and use of marijuana -- a dangerous and addictive drug which already has severe harmful effects on American society," they wrote. "We also respectfully request your committee at its March 6 hearing to encourage Attorney General Eric Holder to adhere to long-standing federal law and policy in this regard, and to vigorously enforce the Controlled Substances Act (CSA)." The signatories suggested that senators ask Holder is he still believed in the Supremacy Clause when it comes to conflicts between state and federal law and why he isn't enforcing the Controlled Substances Act in Colorado and Washington. They also suggested asking him "what is being done about our international drug treaty obligations," noting that they require the federal government to enforce marijuana prohibition. And speaking of international drug treaty obligations, the INCB, which is charged with ensuring that countries live up to them, also criticized marijuana legalization as it issued its 2012 Annual Report. Noting the popular votes in favor of legalization in Colorado and Washington, INCB reiterated that "the legalization of cannabis for non-medical and non-scientific purposes would be in contravention to the provisions of the 1961 Convention as amended by the 1972 Protocol." The INCB also took a shot at medical marijuana, noting that "the control requirements that have been adopted in the 17 states in question and in the District of Columbia under the 'medical' cannabis schemes fall short of the requirements set forth in articles 23 and 28 of the 1961 Convention as amended by the 1972 Protocol." And, also expressing concerns about decriminalization moves, INCB "requests that the government of the United States take effective measures to ensure the implementation of all control measures for cannabis plants and cannabis, as required under the 1961 Convention, in all states and territories falling within its legislative authority." The two-pronged attack excited a quick response from drug reform groups and at least one Democratic congressman. "As Supreme Court Justice Louis Brandeis once observed, states are the laboratories of democracy. The federal government should concentrate on shutting down meth labs -- not the laboratories of democracy. The people of Colorado and Washington voted to implement these laws, and the federal government should respect their will. States have a right to determine their own possession laws," said Rep. Steven Cohen (D-TN) in a Tuesday statement. "If the people of Colorado and Washington want to legalize small amounts of marijuana, that is their decision. It is arrogant of these former DEA chiefs to encourage the President to nullify these laws," Cohen continued. "The fact that these former DEA chiefs are so focused on marijuana possession is why we have lost the war on drugs. The war should be on heroin, meth, crack, cocaine and unauthorized use of prescription drugs -- not marijuana possession." "The former DEA chiefs' statement can best be seen as a self-interested plea to validate the costly and failed policies they championed but that Americans are now rejecting at the ballot box," said Ethan Nadelmann, executive director of the Drug Policy Alliance. "They obviously find it hard to admit that -- at least with respect to marijuana -- their legacy will be much the same as a previous generation of agents who once worked for the federal Bureau of Prohibition enforcing the nation’s alcohol prohibition laws." "The war on drugs has been a failure by every measure," said Neill Franklin, the executive director of Law Enforcement Against Prohibition. "After more than a trillion dollars spent over the last forty years, we have nothing to show for it except more violence on our streets, the fracturing of community trust in the police and overflowing prison populations. Still, use has not significantly declined. It's unfortunate the DEA heads can't admit this failure. As someone who gave three decades of his life fighting this 'war' on the ground, I can tell you that from that perspective, this policy was dead on arrival." "It is not surprising that these ex-heads of the marijuana prohibition industry are taking action to maintain the policies that kept them and their colleagues in business for so long," said Mason Tvert, communications director for the Marijuana Policy Project and an official proponent of the Colorado initiative. "Their desire to keep marijuana sales in an underground market favors the drug cartels, whereas the laws approved in Colorado and Washington favor legitimate, tax-paying businesses. Marijuana prohibition has failed, and voters are ready to move on and adopt a more sensible approach. It's time for these former marijuana prohibitionists to move on too." As for INCB, it essentially plays the role of toothless nag, said Eric Sterling, the executive director of the Criminal Justice Policy Foundation. It is mandated by the United Nations to report on adherence to global anti-drug treaties, but has only the power to hector, not to enforce. "The INCB has no power other than to issue reports," he said. "It can't issue indictments, it can't call for a resolution in some other body to condemn a nation. It's strictly hortatory, and for many years, it's bordered on the preposterous in the condemnations it's made. The INCB thinks that nations ought to suppress music or motion pictures or books that 'send the wrong message' about drugs. In that sense, it is completely out of step with Western Civilization. They would reject art and music and probably science if it were contrary to their abstinence focus on drug use." Not only is the INCB relatively powerless, it is largely irrelevant, Sterling said. "In our American drug policy, they have only negligible influence," he said. "I don't think that in any state capital, the INCB's comments carry any political weight. I don't think in most journals of opinion, their observations are important. Whether their comments have significance in other countries would be harder for me to assess. I tend to believe they are not that important," he said. "Most people don't even know what it is or what its power is or what it said, including most members of Congress and their staffs," Sterling continued. "The INCB is obscure. Maybe some former DEA administrators might want to refer to them in a press release, but nobody else is going to pay any attention." The forces of opposition to marijuana legalization are lining up to put pressure on the Obama administration. It shouldn't listen to them, said DPA's Nadelmann. "President Obama and Attorney General Holder really need to allow Washington and Colorado officials to implement the new laws in ways that protect public safety and health while respecting the will of those states’ voters," he said. "At this point, insisting on blind obeisance to strict interpretation of federal drug laws will only serve the interests of criminals who want to keep this industry underground and law enforcement officials who want to justify their legacy." Last weekend, Americans for Safe Access hosted the National Medical Cannabis Unity Conference in Washington, DC. The conference featured numerous panelists, as well as lobbying on Capitol Hill. On Monday, Rep. Earl Blumenauer (D-OR) introduced the States' Medical Marijuana Patients Protection Act (House Resolution 689) at a press conference surrounded by attendees at the National Medical Cannabis Unity Conference. The bill would get the federal government out of states where medical marijuana is legal. Last Thursday, an unapproved dispensary was shut down in Kingman and its proprietors arrested on a variety of marijuana-related and weapons charges. Police seized several pounds of marijuana, $7,000 in cash, and a shotgun. Earlier this month, Shasta County moved a lawsuit filed against it by a medical marijuana collective from state to federal court, and the attorney representing county supervisors has already filed a motion there to dismiss it. The Medicine Man Collective Spiritual Center Corporation sued in state Superior Court in January, naming the supervisors, the county sheriff, and three deputies as defendants. The suit charges that the county conspired to deprive the collective of its contractual, constitutional and state rights by enacting a ban on dispensaries. The collective closed its Main Street doors in May 2011 after being evicted following implementation of the ban in 2010 and its finalization the following year. Last Thursday, the LA city council voted to approve a third dispensary measure for the May ballot. This third measure is the council's own and would allow about 100 dispensaries to stay open, restrict them from locating near schools and churches, and increase taxes on them. One of the other measures would allow a similar number of dispensaries to stay open, while the other would allow most of the hundreds of currently existing dispensaries to stay open. The initiatives come after the council tried to impose a total ban last year. On Tuesday, Butte County supervisors adopted a cultivation ordinance. The measure prohibits outdoor marijuana gardens on lots smaller than 0.5 acre. It allows up to 12 plants (six mature and six immature) on parcels larger than 0.5 acre but smaller than 1.5 acre. On parcels smaller than 3 acres, 36 plants (18 mature and 18 immature) are allowed. The total allowable number of plants tops out at 99 on property larger than 40 acres. The gardens have set-back requirements that increase as the lots grow, and the plants have to be screened from view with fencing. Grows are prohibited within 1,000 feet of schools and parks. The growers have to be able to prove they have been county residents for a year, and there has to be written proof the landowner is aware of the garden and approves of its existence. The ordinance allows indoor gardens in free-standing buildings of 120 square feet on lots anywhere in county jurisdiction. On Tuesday, a statewide poll had support for medical marijuana at 69%. The poll showed strong support among Democrats and independents and even among Republicans, 56% of whom said they supported marijuana. The poll comes as its sponsor, People United for Medical Marijuana, pushes for medical marijuana to come to the Sunshine State. On Wednesday, a medical marijuana bill was filed. The bill is Senate Bill 1250. 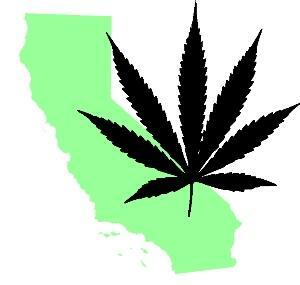 On Sunday, a statewide poll found that 58% support legalizing medical marijuana. That's down six points from a similar poll in 2010. 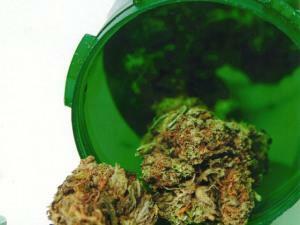 The poll comes as the Iowa legislature considers medical marijuana bills. On Tuesday, the Westborough Board of Health supported zoning for dispensaries. The board did not reach agreement on whether Westborough should ban dispensaries or whether to zone or ban home grows for medical use. The town planning board has already proposed a zoning bylaw that would ban both dispensaries and home grows. It goes before voters at the annual town meeting on March 16. Last Thursday, two more medical marijuana providers were sentenced to federal prison terms. Ross Pattison and Brandon Strecker were partners in Eastern Montana Cannabis. Pattison got 20 months and Strecker got a year and a day. They are only the latest Montana medical marijuana providers to be sent to federal prison after a spring 2011 crackdown by the DEA and the Justice Department. Last Friday, legislators held a hearing on problems with access to medical marijuana. During the Senate Judiciary Committee hearing, members acknowledged that it is almost impossible for the state's 3,600 card holders to acquire their medicine. Sen. Tick Segerblom (D-Las Vegas) said after the hearing that he soon will introduce a bill to set up a regulated system where marijuana is grown at farms and then distributed and taxed through licensed dispensaries. Last Thursday, a House committee held a hearing on a pending medical marijuana bill. The bill, House Bill 573, would allow patients to grow up to four plants or obtain their medicine through one of five state-licensed dispensaries. Similar bills have twice passed the legislature since 2007, only to be vetoed by then-Gov. John Lynch (D). New Gov. Maggie Hassan (D) supported the bills as a legislator, but has expressed concerns that the system be tightly regulated. On Monday, a medical marijuana bill died in the legislature. The bill, Senate Bill 710, would have allowed patients to possess up to eight ounces and grow up to 12 plants. It would also have allowed state-sanctioned collectives. It was killed in the Senate Health and Human Services Committee after members heard testimony. The bill was defeated 6-2 in a party line vote. On Monday, the Spokane city council approved a six-month moratorium on new dispensaries. The council feared a proliferation of marijuana businesses before the state finishes writing its rules for legal non-medical marijuana commerce. Spokane currently has about a dozen dispensaries. When it comes to the status of marijuana, we are in a rapidly changing landscape. Less than two decades ago, there was no legal medical marijuana anywhere, the federally-backed Campaign Against Marijuana Planting (CAMP) was buzzing Northern California backyards in search of the insidious weed, and pot legalization looked like little more than a pipe dream. Now, medical marijuana is legal in 18 states -- and a dispensary will soon open up within eyeshot of the US Capitol -- CAMP is no more, voters in Colorado and Washington have become the first out of the gate in the legalization sweepstakes, and the Washington Post is publishing columns on marijuana etiquette. There's more: Marijuana arrests are starting to decline after decades of increases, we're likely to see two or three or four more medical marijuana states in the next couple of years, state legislatures are starting to take up legalization bills (although I'm not holding my breath on those), and the initiative process is going to be used in 2014 and, to a much greater extent, in 2016 to try to achieve more legalization victories. We are, one hopes, on the verge of a sea change. So, what happened? Well, in a largely futile effort to interest them in history, I used to tell fresh-faced college students that they couldn't understand where we were, much less where we were likely headed, if we didn't know whence we came. Martin Lee, who blew minds in the 1980s with Acid Dreams, his account of the rise and role of LSD, is back again with Smoke Signals, and he explains with verve and passion what went down, and why. In Smoke Signals, Lee takes the varied strands -- legal, cultural, social, medical -- that constitute the history of marijuana (mainly in the US) and weaves them into a rich, multi-textured fabric of reefer knowledge. In so doing, he has, in my opinion, created the best, most comprehensive account of the American marijuana movement(s) to date. He traces the early 20th Century spread of marijuana, high-lighting figures like jazz musicians Louis Armstrong, who was talking about smoking "the good shuzzit" back in the 1920s (take that, Snoop Dogg!) and the original wigger, Mezz Mezzrow, better known for supplying reefer than his musical abilities, as well as re-telling the tale of arch-bad guy Harry Anslinger, the original Reefer madman, and his all-too-successful quest to demonize the weed. Lee draws a line from the jazz hipsters through the 1950s Beats to the 1960s counterculture and beyond, demonstrating along the way how marijuana became increasingly wrapped up with dissent and deviance and earned its place as a key marker in what we now call the culture wars. He devotes well-deserved attention to poet and activist Allen Ginsberg, who perhaps more than any other single individual, made pot smoking a political act, an sign of cultural rebellion. But where he really shines is in explaining how we got from the 1960s to today. In Lee's narrative, we go to San Francisco, its gay community, and its response to the AIDS crisis that emerged out of nowhere in the early 1980s. There emerged the contemporary medical marijuana movement, thanks in large part to envelope-pushing players like Dennis Peron (who still enchants and bedevils the movement today) and Dr. Tod Mikuriya. At roughly the same time, Jack Herer was arising from his dogmatic slumber and preparing to unleash hemp upon the world, and within a few years, campus activists like Debbie Goldsberry had formed the Cannabis Action Network and taken their medicine show on the road. Between the sick and dying, the happening hempsters, and the youthful pot-lovers, a steam-roller of a politico-cultural movement was formed. The rest is, as they say, history. And we're still living it. Part of what makes Smoke Signals so enthralling to me personally is that its history is my history. This is my movement. Marijuana (and broader drug policy) reform is what I have been living and breathing since the late 1960s (albeit out in the sticks and far from the main action for many years) and covering for the Chronicle for the past dozen years. Many of the people whom Lee is writing about are my friends, colleagues, and acquaintances. Lee does an excellent job of making sense of all the disparate strands that make up our story. 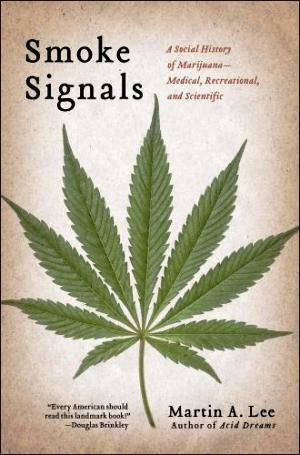 Smoke Signals is a must read for anyone who wants to understand the contemporary marijuana movement. I would be remiss if I failed to mention's Lee's excellent and sometimes mind-boggling review of the state of the science around marijuana as a medicine. Science is busily unlocking the secrets of the cannabinoids and the body's endocannabinoid system, and if Lee is correct, the curative powers of the pot plant have barely begun to be uncovered. If Smoke Signals provides the big picture on pot and pot politics in the US, journalist Jim Rendon's Super- Charged has a much narrower focus. As he notes, most agricultural products are seeing the number of their varieties shrink, due primarily to the prerogatives of industrial food production. Marijuana is different; this mainly illicit crop has some 2,000 identified strains now, and, as Michael Pollan has noted, has become one of the most successful plants on the planet. Jim Rendon tells us how this happened. He goes behind the scenes to visit with Northern California outdoor growers, breeders in Southern California and Amsterdam, and grow experts, such as "Jorge Cervantes," the long-time expat who just recently repatriated to Northern California's Sonoma County. He also visits with GW Pharma, the manufacturers of Sativex, the tincture made from whole marijuana plants (remember that the next time someone says pot is just "crude plant material" not suitable for use as a medicine), who relied on those outlaw breeders to get the strains they wanted. It's a fascinating tale of botanical science down by an army of impassioned amateurs, as well as look at the history, culture, and conflicts around the science of pot breeding. Super-Charged is well-researched and fast-paced, full of interesting characters and insights. It's a fun and worthwhile read. A bill that would legalize the use of medical marijuana in the Tarheel State is dead after a legislative committee killed it to avoid having to hear any more about it from constituents. The North Carolina Medical Cannabis Act (House Bill 84) would have allowed patients suffering from debilitating diseases or conditions or their caregivers to possess up to 24 ounces of usable marijuana and have a garden of up to 250 square feet. 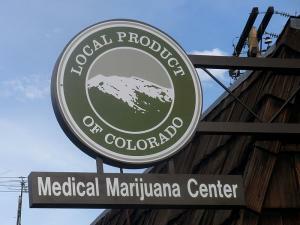 It would also have provided for a system of medical marijuana dispensaries. The House Rules Committee Wednesday heard public comments on the bill for about 20 minutes. Only one speaker, a representative of the social conservative North Carolina Family Policy Council, opposed the bill; a number of medical marijuana patients urged the committee to advance the bill, as did its sponsor Rep. Kelly Alexander (D-Mecklenburg). Then, instead of merely letting the bill expire in committee, as is typically the case with bills that won't pass, the committee voted to give it an unfavorable report, ensuring the topic could not be brought up again this session. According to House rules, when a bill is given an unfavorable report, "the contents of that bill or the principal provisions of its subject matter shall not be considered in any other measure originating in the Senate or originating thereafter in the House." "We did it to be done with it, so people could move on for the session," Rep. Paul "Skip" Stam (R-Wake) told WRAL TV in Raleigh. He said lawmakers were being "harassed" with phone calls and emails about medical marijuana. Most of the action was at statehouses this week, but there was also news from the Harborside Health Center battle in California and an announcement that the nation's capital will soon have its first dispensary. On Tuesday, the state attorney general rejected the wording of a ballot measure that would legalize medical marijuana. Attorney General Dustin McDaniel complained of ambiguities in the measure. McDaniel must certify the measure before signature-gathering to qualify for the 2014 ballot can begin.That means it's redrafting time for Arkansans for Compassionate Care, the same folks who brought a narrowly-defeated measure to the ballot last year. Last Thursday, a federal magistrate rejected the city of Oakland's challenge to the federal government's effort to shut down Harborside Health Center, the world's largest medical marijuana dispensary. Magistrate Maria-Elena James ruled that only those who have a direct interest in the property -- Harborside and its landlords -- have the right to challenge the government's effort to seize it. The city had intervened in the case on Harborside's behalf, arguing that its closure would lead to public health and safety problems. On Wednesday, medical marijuana patient Daisy Bram was arraigned in Tehama County on marijuana cultivation charges. This is the second run-in with recalcitrant local authorities for Bram, who was arrested on similar charges in 2011 in Butte County. In both cases, authorities also seized her children. In the Butte County case, police and social workers tore Bram's month-old son from her arms, and he and his sibling remained in foster care for six months. Her children have been seized once again, as has her 12-year-old personal vehicle, which authorities claimed was purchased with the fruits of crime. Last Friday, operators of Capital City Care announced that the District's first dispensary will open in April. It's been a long time coming. Voters approved medical marijuana in 1998, but Congress blocked its implementation for more than a decade, and District officials have moved at an excruciatingly slow pace in enacting regulations and permissions. City officials have approved three dispensaries and six cultivation centers, but Capital City will be the first out the gate. Last Thursday, state health officials held a "listening session" in Boston to get public input as they work on regulations for the state's nascent medical marijuana industry. They heard from patients seeking broad access, as well as from substance-abuse groups, youth counselors and police, who urged them to draft strict regulations. This was the second of three "listening sessions" undertaken by the Department of Public Health. The department has until May 1 to draft regulations for the program. Last Friday, a package of bills to fix the state's gutted medical marijuana program was defeated in a House committee vote. The bills were an effort to undo some of the restrictions passed by the legislature in 2012 that effectively killed the state's burgeoning medical marijuana industry. The hearing was also notable for one of the more colorful comments on marijuana heard in recent years. Marijuana is "a joke," said House Human Services Committee Chair David Howard (R-Park City), a former FBI agent, adding, "It makes you delusional. It is psychologically addicting and physiologically addicting and it absorbs in your fat cells, which is the most dangerous drug there is. This is not a drug. It's a poison." On Monday, lawmakers held a hearing on taxing medical marijuana dispensaries. The bill's sponsors said they want to hit dispensaries with a 25% tax on cannabis sales like the one mandated for non-medical marijuana under the state's new legalization scheme. The idea is to avoid a dual market -- one taxed and one not -- once legalization regulations go into effect. But more than a dozen people, most of them patients, testified against the move. No vote was taken. On Monday, Del. Mike Manypenny (D-Taylor) introduced a medical marijuana bill. The bill, House Bill 2230, would allow patients to possess up to six ounces of marijuana and establishes five "compassion centers" to provide patients their medicine. Manypenny introduced similar bills in the last two sessions, but they never got a hearing. It's a marijuana policy trifecta on Capitol Hill now: recreational marijuana, medical marijuana, and hemp. Earlier this month, reformist House members filed bills to end federal pot prohibition and tax the trade and last week to legalize hemp. Now, some of those same legislators -- joined by more -- have filed bills that would protect medical marijuana patients and providers and some senators have filed their companion bill to legalize industrial hemp. A little more than a week after the state Supreme Court ruled that Michigan's medical marijuana law doesn't allow for dispensaries, a state lawmaker is ready to file a bill that would allow cities and counties to approve them via local option. State Rep. Mike Callton (R-Nashville) said Monday he would introduce House Bill 4271 Tuesday. The bill already has bipartisan support, with eight Democrat and eight Republican cosponsors. A similar bill died in committee last year, and medical marijuana foe Attorney General Bill Schuette (R) has said no further medical marijuana bills are needed this year, but Callton told the Lansing State Journal he thought the measure would fare better this time around. "I'm a Republican and I'm from a conservative area, but I've seen growing support from a lot of other legislators for this from both parties," Callton said. "And now, with this court ruling, it becomes much more important. I want people to be able to take a recommendation for (marijuana) from their doctor and be able to go to what we're calling a provisionary center." Not only has Schuette come out against any new medical marijuana bills, his office will this week send out letters to all 83 county prosecutors instructing them to shut down anything resembling a dispensary, his office said on Friday. Between the state Supreme Court ruling and Schuette's aggressive posture, Michigan dispensary operators -- there may be as many as a hundred statewide -- are running scared. Many have closed their doors, while others remain open only on the down low. "Nobody I know in this state is advertising this service anymore -- it's all going to be word-of-mouth from now on," Holice Wood, owner of a compassion club, told the State Journal. The state's 125,000 registered medical marijuana patients now must grow their medicine themselves, rely on a caregiver (limited to no more than five patients), or resort to the black market. Patients need safe access to their medicine, they said. "It's cost-prohibitive to grow this yourself, and it's labor intensive," said Alec McKelvey Jr., 41, of Warren, a state-registered patient who uses marijuana to fight the side effects of cancer treatments. "You have to spend hundreds of dollars on equipment and really know what you're doing to get a quality plant that has no parasites or mold -- that would make my health worse," McKelvey said. 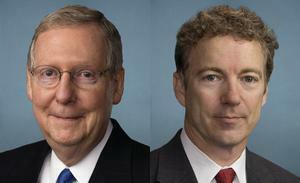 On Monday, a Senate panel voted to let police destroy seized medical marijuana. The Judiciary Committee approved Senate Bill 1414 on a 5-3 party-line vote. Under the law as interpreted by the Court of Appeals, police are required to give it back, but Sen. Kimberly Yee (R-Phoenix) said she believes that puts police in the position of violating the federal Controlled Substances Act, which continues to make marijuana illegal. Her legislation would let officers destroy the drugs once any investigation was completed, even if the person was entitled to have them in the first place. The vote came after the American Civil Liberties Union warned lawmakers they were courting legal action. The 2010 initiative specifically says that marijuana held by those who are entitled either to sell it as dispensary operators or possess it as patients "is not subject to seizure or forfeiture.'' The bill now goes to the full Senate. On Tuesday, the House passed House Bill 1061, the "Responsible Medical Marijuana Vendors" bill, which would create a training program of sorts for medical-marijuana workers. Companies that want to run training schools for employees would apply to the state Medical Marijuana Enforcement Division for certification. If all of a dispensary’s employees complete a training course with a certified school, the state would then grant that dispensary a "responsible vendor designation." The bill now goes to the Senate, which passed a nearly identical measure last year before it died in the House. On Tuesday, a medical marijuana patient sued a staffing firm she said refused to hire her because she is a medical marijuana patient. Brittany Thomas filed the suit against Adecco Group North America, where she had been employed before being laid off. When more work became available, she told Adecco she would fail the drug test because she was a medical marijuana patient. She tested positive and was told she could no longer work for the company. She is seeking reinstatement and payment of back wages. She is being represented by the ACLU of Maine and a local law firm. On Tuesday, the Lowell city council delayed a vote on a zoning ordinance aimed at restricting where dispensaries can operate. Instead, the council Tuesday night sent the proposed ordinance back to the zoning subcommittee for further discussion. One reason mentioned for the delay was because the state's Department of Public Health is yet to promulgate regulations for the operation of the dispensaries. The proposed ordinance would allow dispensaries only in light industrial and high-rise commercial zoned districts and would mandate that they be at least 1,000 feet from a school or public library. On Wednesday, the Department of Public Health held a "listening session" in Worcester about regulations for the state's new medical marijuana law. The sessions are designed to provide public input into the regulatory process. We have no information at press time on how the hearing went. Another is set for Thursday in Roxbury. 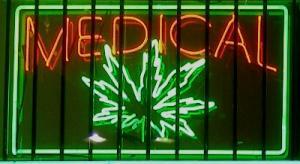 On Tuesday, a poll found that 80% of adults in the state support medical marijuana. The Granite State Poll was conducted at the end of January and the first days of February, and comes as the legislature prepares to deliberate on House Bill 573, a medical marijuana bill. The bill will have a hearing in the House Committee on Health, Human Services, and Elderly Appairs on Thursday, February 21. Last Thursday, a bill to ensure that medical marijuana patients get access to organ transplants was introduced. The bill, AB 576, is sponsored by Majority Whip Peter Barnes, who said he introduced it after a medical marijuana patient was denied a liver transplant and died the following year. On Tuesday, more than 200 people rallied in Raleigh in support of medical marijuana bills. Addressing the group in support of the Enact Medical Cannabis Act was Democratic Party chair Randy Voller. Past bills have been killed by Republican committee chairs, but GOP House speaker Thom Tillis said he wouldn't rule out a well-crafted bill that allowed cancer patients and others with serious illnesses from having access to marijuana as long as strong safeguards were in place to prevent widespread use. Last Thursday, a bill to make PTSD a syndrome treatable by medical marijuana had a hearing in the Senate Health and Human Services Committee. The bill, Senate Bill 281, would add PTSD, to the list of qualifying conditions for medical marijuana use in Oregon. The committee heard doctors testify that marijuana has been shown to soothe anxiety, help with sleep, and calm suicidal urges. The bill now heads to the Senate Judiciary Committee. A bill that would have legalized marijuana died in the state legislature Tuesday. House Judiciary Committee Chairman Karl Rhoads told the Associated Press he decided to kill it after a head count found the bill would come up short in the House. The measure, House Bill 669, would have allowed people 21 and over to possess up to an ounce and grow an unspecified number of plants in a secure location. It would also have created a system of taxed and regulated marijuana commerce. It was sponsored by House Speaker Joseph Souki (D-8), leading proponents to hope his support could help push it through the House, but that was not to be. A public hearing last week saw now familiar arguments reprised. County police departments, the state attorney general and the Coalition for a Drug-Free Hawaii told legislators marijuana was a dangerous drug and that the social costs of legalizing it would be too high, while supporters of the bill, including the ACLU of Hawaii said legalization would save the state money and respect Hawaiians' freedom of choice. They also argued that pot prohibition disproportionately impacts the state's minorities. Pam Lichty of the Hawaii Drug Policy Action Group told the AP the group is disappointed but will continue to fight for marijuana reform, including improving the state's medical marijuana program. Colorado and Washington freed the weed in November, and marijuana legalization bills have been or will be introduced this year in Maine, Massachusetts, New Hampshire, Pennsylvania, Rhode Island, and Vermont. 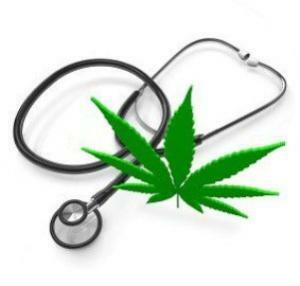 Did you know that Marinol and medical marijuana are different? Read what different experts have to say, at "Marinol v. Medical Marijuana," on MedicalMarijuanaProCon.org, part of the ProCon.org family. This is the final installment of a six-part series of ProCon.org highlights published in Drug War Chronicle. You can follow ProCon.org through their email list or RSS feed or on Twitter. Read last week's Chronicle ProCon.org highlight piece here. In a ruling issued Friday, the Michigan Supreme Court held that it is illegal to sell medical marijuana through dispensaries. That means Michigan patients will either have to grow their own or rely on a designated caregiver, who is limited to providing for no more than five patients. The 4-1 decision in Michigan v. Compassionate Apothecary (scroll down past the syllabus) upheld an earlier appellate court finding that the state's voter-approved 2008 medical marijuana law does not allow people to sell medical marijuana to each other, even if they are registered patients. The medical marijuana law says registered patients can possess up to 2 ½ ounces of marijuana and grow up to 12 plants in an enclosed space, but it does not mention dispensaries or otherwise say how patients might obtain their medicine. "The Court of Appeals reached the correct conclusion that defendants are not entitled to operate a business that facilitates patient-to-patient sales of marijuana," wrote Chief Justice Robert Young for the majority. The owners of Compassionate Apothecary had argued that their business wasn't illegal because the law allowed for the "delivery" and "transfer" of marijuana, but the high court wasn't buying. The shop could be shut down as a "public nuisance," the court affirmed. Detroit attorney Matthew Abel, a specialist in the state's medical marijuana law, told the Associated Press the decision had settled the issue in the courts and it was now up to elected representatives to act. "This is the end of the road. This is it," said Abel. "It will be a mess until the legislature clarifies what kinds of business entities are allowed to exist." Ardent medical marijuana foe Attorney General Bill Schuette has yet to comment on Friday's decision, but when the appeals court ruled the same way last year, he called it "a huge victory for public safety."